***Disclosure-This is a sponsored post through Hello Houston Media. My family received 4 day passes. Any and all opinions stated are based on my personal opinion. Do you Cosplay? Are you a Houston Nerd? 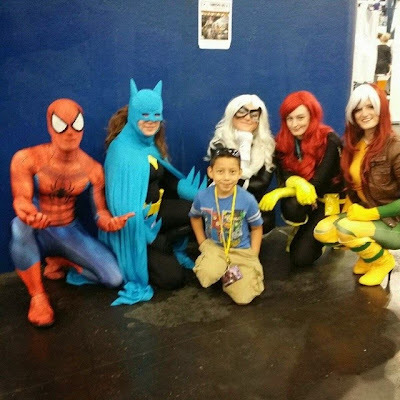 Last year I told you how much fun we had at Comicpalooza 2013 and so we were so excited for this year's Comicpalooza 2014. Comicpalooza is Texas' very own International comic convention held here in Houston, Texas at the George R. Brown Convention Center. This year was 4 full filled days over the Memorial Weekend! 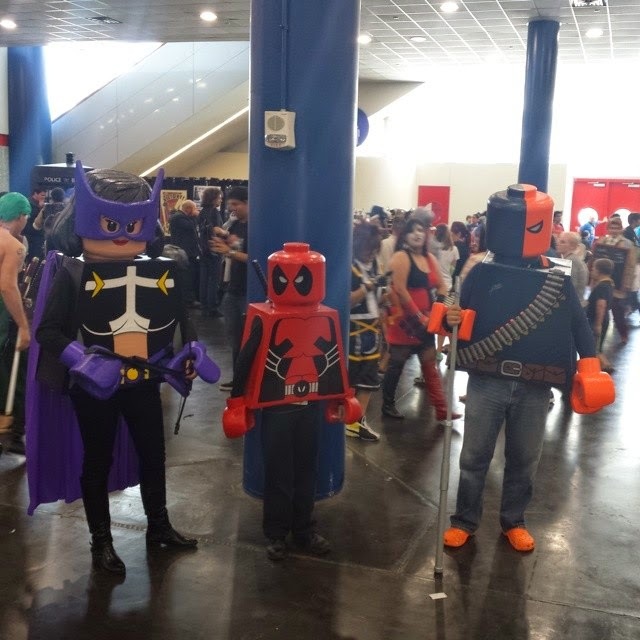 There were celebrities, artists, vendors, games, panels, and workshops. The GRB is huge so there is so much space for all of this. maybe next year we will go full costumes but it was fun seeing everyone else. We saw so many talented people. I was great for my teen to see how being different and creative can be a good thing. Sometimes our kids may not know what they want to do, and a hobby could actually turn into their profession. Another cool thing we got to see was the batman cars because my son is a Batman fanatic. The coolest thing was seeing the celebrities and getting to hang out with them. Even dad was getting all giddie when he saw who all was here. We had so much fun! We ran into so many people over the 4 day weekend. There was so much to do! Can wait for next year-Comicpalooza 2015!